Osteochondritis dissecans, often called OCD for short, is a condition that causes loosening of cartilage and its supporting bone. OCD most often occurs in the knee joint, although it can also occur in other joints including the ankle and the elbow. The cause of OCD is not well understood. What happens in patients with OCD, is the blood flow to the bone around a joint surface becomes abnormal. Many researchers have speculated as to the reason for this disruption of blood flow, and it is thought to be related to repetitive stress or even traumatic injury to the bone. As the blood flow to the bone is diminished, the attached cartilage can separate away from the bone. Normal joint cartilage is important for having a joint that bends smoothly and without pain. When the cartilage is damaged, a number of problems can occur. In a normal knee joint, a layer of cartilage that is several millimeters thick evenly coats the bone surfaces. The normal cartilage is smooth and slippery and firmly attached to the underlying bone. Patients who have OCD develop abnormal blood flow to the bone that surrounds the joint. The lack of normal blood flow damages the bone that supports the layer of cartilage. This can cause the bone to fragment and the cartilage to separate from its normally firm attachment. The OCD lesion ('lesion' is the cartilage and any bone attached to the cartilage fragment) can loosen and break off from the joint surface. More severe symptoms can occur when there is a fragment of cartilage floating around the joint. There are a number of factors that must be considered when determining the best treatment for OCD. Patient Age: The most important prognostic factor is the age of the patient. Patients who have open growth plates (children and adolescents) have a much better prognosis to heal an OCD with both surgical and non-surgical treatments. Size and Location: Larger fragments and fragments in more critical parts of the joint are generally treated more aggressively with surgical options. Degree of Fragmentation/Detachment: OCD fragments are classified as either being stable or unstable, depending on the likelihood of the fragment separating from the bone. Unstable fragments that are more susceptible to this separation are most often surgically repaired. Stable fragments are more likely to heal with less-invasive treatment. Depending on the combination of factors, your orthopedic surgeon can make a recommendation for treatment. When an OCD fragment is likely to heal, non-surgical treatment can be effective. 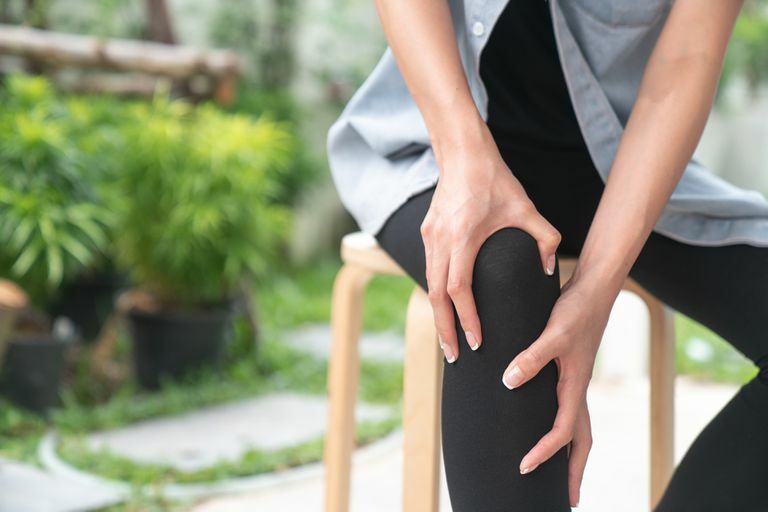 While your doctor may recommend ice, anti-inflammatory medications, and other symptom treatments, the critical part of non-surgical treatment is resting the joint to allow for healing. This means limiting activity and may mean using crutches to limit weight on the joint. The goal of surgical treatment is to end up with a stable cartilage surface of the joint. If it is thought the fragment can heal, your doctor will most likely try to repair the OCD lesion, usually by using screws or pins to hold the fragment in place. Modern screws and pins are made of bioabsorbable material (rather than metal) so that they will not cause future problems to the joint cartilage. If the likelihood of healing is low, the loose cartilage will be removed from the knee, and treatment will be focused on stimulating new cartilage growth in the void on the joint surface. Microfracture: A microfracture surgery is performed to stimulate blood flow to the area of damage, which can allow cartilage healing. This treatment is seldom used for juvenile OCD because it does not hold up over time. OATS/Cartilage Transfer: Cartilage transfer procedures move cartilage and bone from areas of the joint that don't need the cartilage to the area of damage. Autologous Chondrocyte Implantation (ACI): ACI is a procedure that grows cartilage cells in a lab, and then inserts the newly grown cartilage into the are of damage. Chambers HG, et al. Diagnosis and Treatment of Osteochondritis Dissecans. J Am Acad Orthop Surg. May 2011 vol. 19 no. 5 297-306. How Are Tears of the Meniscus and Cartilage Different?